Model Ships of the French Navy and Merchant Navy. Ships that are part of French History. Ideal French Collectable Model Ships. Ideal nautical gifts, Corporate Gifts of famous French sailing ships. French Royal Ships as the Soleil Royal, Canot Imperial, Reale de France, Lafayette's Hermione model ship. These ship models come in various sizes and not all sizes are readily available. Please browse our available ship models category to see more ship models of French ships. This is a copper pinned plank on frame ship model of Le Coureur. This is a luxurious and unique corporate gift for sailing events. This model ship will be available on 1st July 2019. 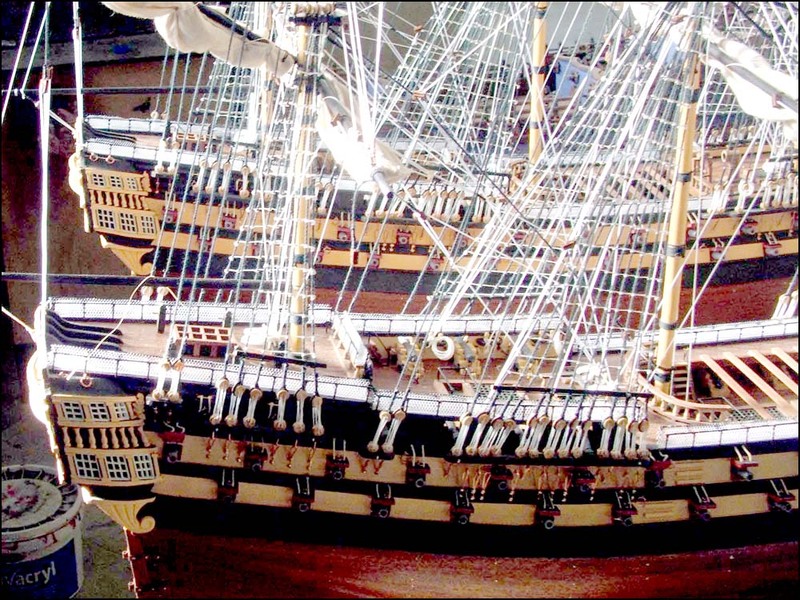 This is a rare and highly detailed historic ship model of the French Napoleonic era. A true masterpiece proof of our degree of craftsmanship. This model will be back in stock in July 2019. This is a beautifully hand-crafted ship model of Le Superbe. It is a great gift idea for French friends.